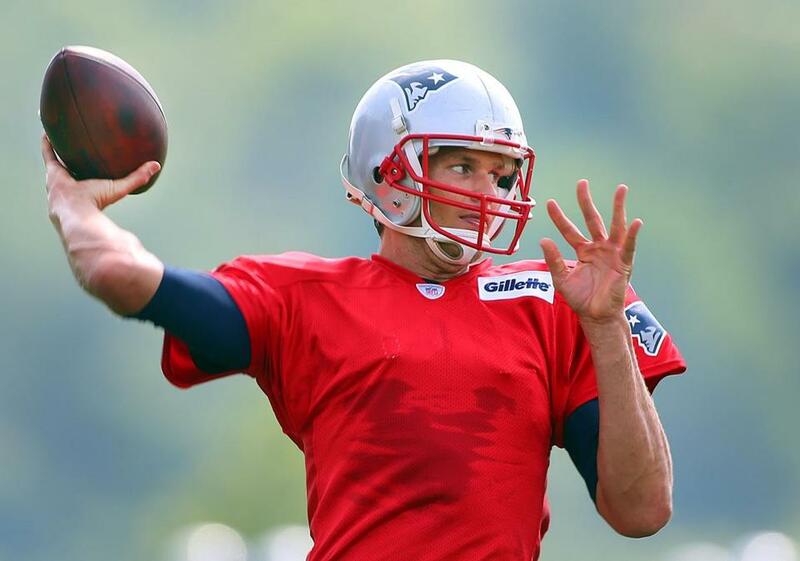 Tom Brady fired a pass during the first day of training camp for the Patriots. On Tuesday, the NFL accused Patriots quarterback Tom Brady of having his personal cellphone destroyed to keep league investigators from uncovering text messages or other electronic evidence that might implicate him in the Deflategate scandal. 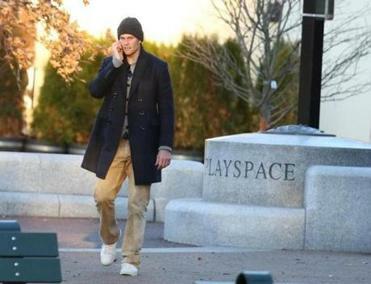 Brady and his agent, Don Yee, have disputed the league’s portrayal of what happened to the mobile device. But both Brady and the NFL appear to agree that the nearly 10,000 messages on his broken phone are no longer retrievable. Regardless of what condition Brady’s now-legendary Samsung cellphone is in and how it got that way, the situation raises the question: How hard is it to permanently remove text messages from a phone? The answer is: pretty hard. Breaking a smartphone to the point where text messages are completely unrecoverable would almost certainly have to be done on purpose. While the owner and QB offered passionate responses to the NFL’s decision on Deflategate, they weren’t totally convincing. “The likelihood of it being an accident is well less than 1 percent,” said John J. Carney, founder of Carney Forensics, a Minnesota-based company that specializes in retrieving deleted, lost, or damaged digital data, including texts. The key to erasing texts is to damage the device’s computer chips, which are used for memory. But doing so requires inflicting some serious force on the device, and even some precision, as memory chips are as small as “the finger nail on your pinky finger,” Carney said. And the memory chips, as well as phones themselves, are quite durable. Many common methods for intentionally destroying phones do not make text messages and other data irretrievable. For example, shattering a device’s screen, breaking its charging ports or on-off switches, crushing it under weight, or submerging it in water are unlikely to wipe out the memory. “These are very resilient devices,” said Carney. To ensure that the texts are gone forever, Brady or his assistants would have likely had to obliterate the device. Enough electromagnetic radiation or heat would sufficiently melt and destroy the phone and its memory chips. Carney suggested finding a service that will shred the phone entirely, essentially turning it into dust. What about just using the phone’s ‘delete’ feature? But simply deleting text messages may not make them disappear forever, experts say. However, in many instances a “deleted” message is still stored within the phone, at least for a while. Carney said his company and others like it frequently retrieve messages that users intended to delete and thought they had. Messages “deleted” by users can eventually completely disappear. A device may eventually permanently overwrite or purge a “deleted” message to make room for more texts, but most users would have no idea if, or when, that happened. Resetting the device to the original factory settings can also work. Even if texts are completely removed from a device, they still may remain in the phones of the other people who received the messages. What about texts stored in the cloud or by cell carriers? Even if Brady’s phone and its texts have been completely destroyed, or if the device is missing altogether, the messages could be stored elsewhere if Brady had backed his data up to the cloud or to another computer. What’s more, cellphone carriers typically keep basic details — or metadata — about text messages their customers send for billing purposes. Such records include the date and time of the message and the phone numbers the messages were sent to and from, but not the messages themselves. “They could get details of whom [Brady] texted and when,” said Nathan Freitas, a fellow at the Berkman Center for Internet and Society at Harvard University. But, “the actual text is what is really hard to get, if not impossible,” to get from a carrier. In some cases, actual messages may be saved for a time. For example, in a case where a recipient’s phone is turned off, the incoming message can be stored by the carrier in order to be delivered when the phone is back online. However, carriers, including the four biggest in the country — AT&T, Verizon, T-Mobile, and Sprint — have told the Globe recently that they delete their copies of messages after delivering them. Additionally, recovering texts from a smartphone typically would require either permission from the person who owns the phone or a court order. The NFL has had no legal authority to force Brady to hand over any devices or phone records, though Brady has given some information voluntarily. Finally, many smartphones encrypt data, meaning even if text messages are retrieved, they may remain unreadable. Then again, sometimes losing your texts forever can backfire. Brady insisted in a Facebook post Wednesday that he has “never written, texted, emailed to anybody at anytime, anything related to football air pressure before” the controversy unfolded six months ago. If only he had the phone to prove it.